Guitar? Really? Hmmm...okay, I'll take your word for it. Pure blonde beauty. Hope she never has to sell it. A+, spot on, gold medal. Yeah it's me, or I am he, or he is me...yep. My favorite char from LOTR. How have you been Tele? "...we are all together...I am the Walrus, googoogoojoo"
Pretty good Dodger. Busy as hell. Playing, recording, just bought a house, went to Florida, more playing, and then I had to go back to work. You all moved in yet? Or do you still have that one box that never gets unpacked? Moved in, more than one unpacked box. Sort of in the middle of a kitchen remodel. Bought a used AGA cooker last summer, waiting on a couple of parts and then it can be installed. Sounds like the last few parts are shipping from England next week. So after twenty plus years our dream stove is a month or two from reality. Right now it is seed planting time, actually should have started on it last weekend but found ourselves sidetracked. Glad to hear you are busy, busy is good. How about a pic of the new house? Yeah, how bout a pic of the new digs bro? C'mon share the joy. Congrats on the purchase! Remodeling the interior of the house. I have trigger thumb so i am not playing much. Hope to avoid having surgery but time will tell. Back working but only shrinking 2 days which is all I want to do. So little to no playing the blues and ragtime stuff but much work either at work or at home with the remodel. The new forum looks great Jeff. Hope it works better than the old one. Nice se hear from some of the "old folks." Hey Rags! Nice to see you here. 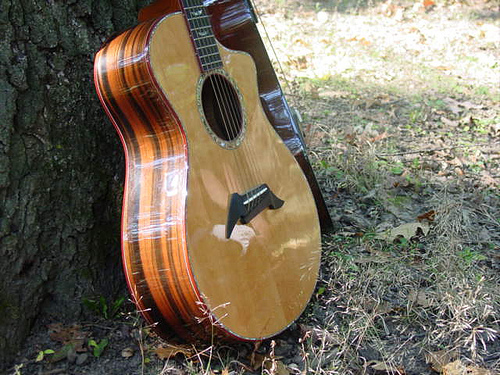 Now i need some help to get what ever the picture is that I had up on the Breedlove forum. Don't know what it is/was called and don't know how to do it. Maybe I can figure it out somehow. Anyway, nice to see some of the old gang here. Who was it in the pic Chuck? I'll find it for ya I think. ragtime man wrote: Thanks Tele. Blind Blake? or Lemon Jefferson? WELL COME RagMan!!!!!!!!!!!!!! Was wondering when you'd get here! That is the picture but I don't know how to get it up there on the left with with my name. Hey Rags, nice to read/hear you again. Never heard of trigger thumb. What is it and how do/did you get it? Hope you heal soon. I thunk it was Blake! Nice. Thanks Tele if it was you or Thanks Jeff it was you that got the picture up for me. Sorry but I don't even know what getting it there is called. Thanks to whomever did it for me. Jeff is was you that got the picture up for me thank you! Tom Bombadil wrote: Hey Rags, nice to read/hear you again. Never heard of trigger thumb. What is it and how do/did you get it? Hope you heal soon. HI FP or TB now. Somehow TB sounds like something people often got back in 1930s and 40s but what do I know. Trigger thumb is like trigger finger but the thumb of course. 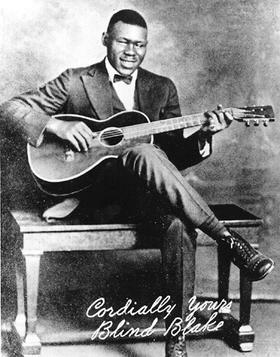 I was playing my ragtime stuff and acoustic blues for about 1 to 2 hours a day and then late at night after my wife went to bed I was practicing this thumb roll over and over for between 1 to 1 1/2 hours straight. I did this for about a week and a half or two weeks. Then I woke up one day and I couldn't straighten my thumb without a lot of pain and without it snapping two times as I tried to open or close the thumb. Tried the usual meds and splinting it and didn't work. Went to dr. and he said he needed to send me to a hand specialist. He has now put two different shots into the thumb and they do not seem to be working. So if it doesn't improve in the next 4 to 6 weeks I will need to have hand surgery to relieve the tendon and the shieth that the tendon is getting caught on. The hand surgeon I think wanted to operate on it now but I said no thanks I will try another shot to see if that works. I can't play guitar much as I am in to much pain but the hand surgeon told me I could try to play if I wanted to as it wasn't going to hurt it anymore. However, when I took hs advice and tried using right thumb it would snap more and then there was more pain. So I am frustrated as I want to play becasue I figure I am loosing a lot of what I could play, been about 9 weeks now, but don't want to risk making it worse and as I said I am hoping to avoid the surgery. I understand the surgery is done as an outpatient but then there is the additional healing. It is a bummer also as I was training for the bike ride from Seattle to Portland (STP run in one or two days) and I was working up to being able to ride my bike to do the run in 2 days making it two 100 mile rides each day. There are 10,000 bike rider and then they close it off. There are over 8000 bicyclers already signed up. The ride starts at the U of Washington and ends up at a park next to a college in Portland. Schools open there doors and you can sleep, for a fee, inside the school buildings and they also, for a fee, provide a dinner and a breakfast. The bike ride starts at 4:15 AM for the folks that are going to ride it in one day. I know a couple of peope who do it each year in one day. One averages 18 miles per hours and the other averages 20 miles per hour and that includes food stops, water stops and the opisite of that process shall we say. The two day ride starts at 5:15AM. I was hoping to average 10 to 12 mph and do 100 to 134 miles the day and the either 100 to about 80 miles the second day. At this point I can not ride my bike at all as my right thumb hurts to much to rap it around the handlebar or to change hand positions so I can shift gears and grab the brakes. So now you know more than what you wanted to know trigger thumb. Best I can tell you is don't practice any one thing over and over and over and over and over and over etc. You get the idea. Slow down? Sounds like someone may be sending you a 'slow it down' smoke signal. Not sure but that's what it feels like to me. Just a hunch. In the meantime, breathe deep and take care of that thumb. The hand is a delicate thing. How is the back doing? Slow it down? I have come to a stop regarding guitar playing. Regarding the house, I can't slow down we have movers coming this Thursday and Friday and everything has to be packed and out of the house then so the rest of the remodel, carpet, can be done. The bathroom floors will be done today and the new countertops in the bathrooms are in. The new sinks or faucets are leaking somewhere and I need to figure that one out. So we are packing like crasy to get it all packed so the movers can move it out on Thursday and move it back on Friday after the carpet has been put in. Slowing down can not happen till after this weekend. I also work Thursday and Friday so I will not be here for the move which means my wife will need to be in charge of that one. Received Test and not sure what to say except I don't every remember failing a test so as Sonny and Cher said " and the beat goes on and on." By this weekend we should have a new looking house except for the back splash which was order by the salesman in the wrong color. We talked to him today and he addmitted he must have ordered the wrong number because he doesn't remember being the color we got. Nice of him to just admit it was his error and he will take care of it.